The USS Iowa (BB-61) was the lead ship of the last class of US Navy battleships. The battleship was originally commissioned in 1943, and served during World War II, Korean War, and the Vietnam War. 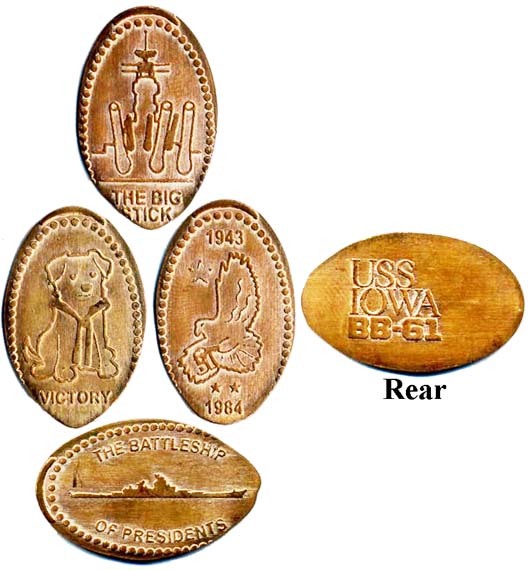 USS Iowa has earned 11 battle stars during her career and hosted three US Presidents, ultimately earning the nicknames, Battleship of Presidents and The Big Stick . She was awarded to the Pacific Battleship Center on September 6, 2011 for display at the Port of Los Angeles in San Pedro, CA - home to the United States Battle Fleet from 1919 to 1940. The USS Iowa opened in Los Angeles on July 4, 2012 to a crowd of over 1,500 supporters and veterans at Port of Los Angeles Berth 87. The USS Iowa museum celebrates the American spirit through daily tours, group programs, education visits, special events, filming, military ceremonies, and is in the process of starting an overnight program. Daily tours include visits to see the largest guns (16"/50 caliber) on a US Navy ship, officers ward room, President Roosevelt s cabin, armored bridge, missile decks, enlisted berthing, mess decks, helicopter deck, and other areas. The ship is located at the Los Angeles World Cruise Center and has over 2,100 parking spaces available. USS Iowa has played various roles in films and shows including NCIS: Los Angeles, American Warships, and Dark Rising. You have to pay to get into the store and it s at the very end of the tour. This penny machine and token machine are located right at the very end of the USS Iowa Museum Shop, just before the exit and you re leaving the self-guided tour. 51¢ each penny, $5 each or $15 for all 4 tokens when paying with a credit card.